There aren’t many teams who’ve been better than Liverpool in Europe this season, with the Reds having one of the best first halves of a season any team in Premier League history have had. Jurgen Klopp’s side currently sit top of the Premier League, four points clear of second-placed Man City, and along with PSG and Juventus, are the only unbeaten side in Europe’s top five leagues. Liverpool look in great shape to claim their first ever Premier League title if their first half of the season is anything to go by, however if they want to go all the way in both the league and Champions League, the club may need to bolster their squad in the transfer window next month. 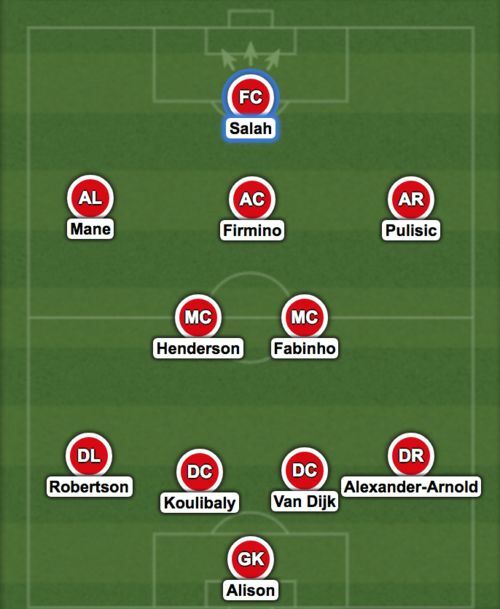 The Reds don’t really have any truly great cover at centre-back or up front, something that may very well end up being the club’s downfall in their attempts to win the Premier League title come the end of the season. 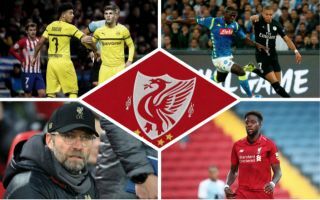 So, we’ve singled out a few players who the Reds have been linked with so far this season, and we’ve put together a team the club could line-up with should they sign the stars in question. Liverpool’s attack is undoubtedly one of the best in Europe, however should they sustain injuries to a few of their stars in the second half of the season, their attempts at winning the league would take a serious blow. This problem could very well be avoided if they were to sign Borussia Dortmund and USA winger Christian Pulisic, a player who the club are interested in signing according to the Metro. The 20-year-old is one of the brightest attacking prospects in Europe, and his arrival at Anfield would give the Reds a huge boost to their depth in attack. 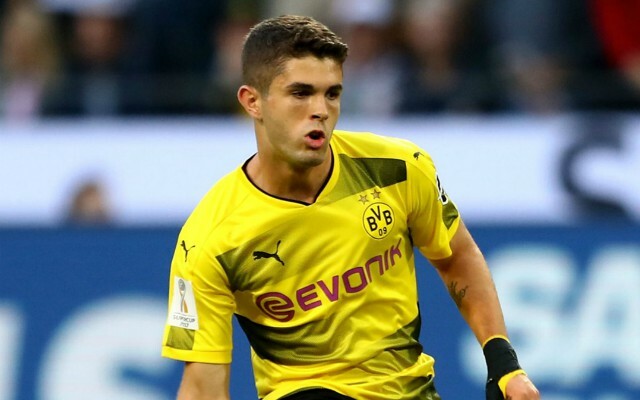 As per the Evening Standard, Dortmund want £70M for Pulisic, a price that may be worth paying from Liverpool’s point of view if it means they’ll be well equipped to go all the way in the Premier League and Champions League this year. The American international’s arrival at Liverpool would allow for the Reds to rest either Sadio Mane or Mohamed Salah when their schedule gets congested later in the season, something that could go a long way in the club’s attempt to finally win some silverware. If there’s one position of Liverpool’s squad that needs bolstering the most, it’s definitely the centre of their defence. Despite Virgil Van Dijk and Joe Gomez proving to be a fine partnership at the back, the England international’s injury that he suffered earlier in the campaign, as well as Joel Matip’s injury, has left the Reds with just two out-and-out centre backs to choose from for the foreseeable future. Having just Van Dijk and Dejan Lovren to choose from in the heart of their defence is not ideal for Jurgen Klopp, and if either of the two stars were to pick up an injury in the second half of the season, the Reds would be in a big trouble defensively. This is a situation that could easily be avoided if they were to sign Senegal and Napoli ace Kalidou Koulibaly, a player who has reportedly been linked with a move to the club as per the Mirror. Koulibaly is one the best centre backs on the planet at the moment, and if Klopp’s side were to bring him in in January, they would have one of the best back lines in world football. 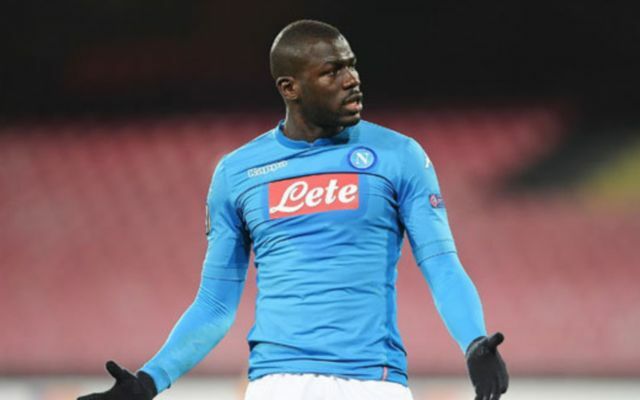 The Mirror’s report note that Koulibaly’s valued at around £89M by Napoli, a price that will seem like a bargain if Liverpool manage to win the league with the Senegalese international in their side. 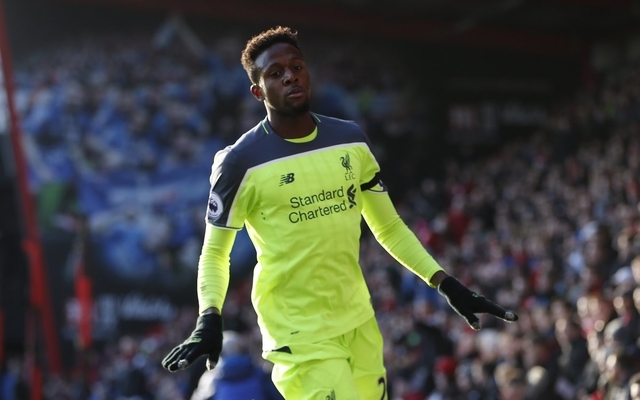 Belgian international Divock Origi has struggled to find his feet at Liverpool ever since his move to the club back in the summer of 2015, and the 23-year-old may very well have to leave the club in order to move forward with his career. The forward has made 80 appearances for the club since his transfer from Lille three years ago, however a number of these have been substitute appearances, something we’re sure the player isn’t best pleased with. And it seems like the striker could be about to be offered a way out of the club by AC Milan if Calcio Mercato‘s report is anything to go by. The report from the Italian news outlet states that, as re-reported from Gazzetta Dello Sport, the Belgian is being eyed up, as well as Marcus Rashford, as an alternative signing to Fabio Quaqliarella from Sampdoria. If things go Origi’s way, he could be offered the chance to end his nightmare stay with Liverpool in January should Milan fail in their attempts to sign Quagliarella. Liverpool could have one of the best attacks and defences on the planet should they manage to acquire both Pulisic and Kouliably in the January window, something they may need to do if they want to claim their first ever league title at the end of the season. Now THAT is a team to be scared of!